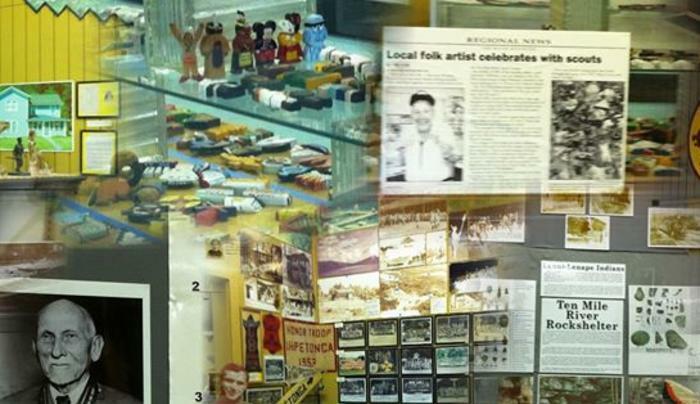 Museum dedicated to preserving the history and artifacts of the Ten Mile River Scout Camps, the largest Boy Scout Council camp in the U.S. Extensive memorabilia display includes patches and neckerchiefs, variety of scout uniforms, maps, literature, camp and staff photos. Video collection includes narrated color slide shows, camp documentaries, home movies, interviews with former campers and staffers. Open July-Aug., Tues.-Sun. call for hours. By appointment rest of year.